The garden route covers over 150 miles including USA and Canada, and blooms May-October. Modeled on the International Peace Garden concept that originated in Canada in 1990, a permanent trail of Peace Gardens have been established along the historic route where events of the War of 1812 determined the future of Canada, the United States and the fate of many First Nations and Native American people. 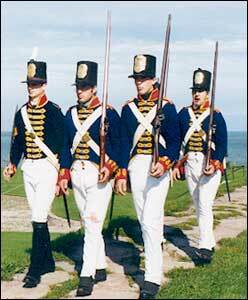 The War of 1812 represents an armed conflict between the United States and Great Britain from 1812 to 1814. Causes of the war include trade tensions, impressments, British support for Indian raids and U.S. Territory Expansion. The United States declared war on Great Britain on June 18, 1812. This was the first time in history that the United States declared war on another nation. The Treaty of Ghent ended the war in late 1814. This war ultimately led to independence for both the U.S. and Canada. Much of the activity during the War was concentrated in New York State along the southern shores of Lake Ontario and the Niagara River. Visitors along the Bicentennial Peace Garden Trail will learn the history of the many events and battles that took place there during this historic period. The Bicentennial Peace Garden Trail is designed to attract international visitors as well as residents of this historic region to experience and enjoy the natural beauty that these gardens provide while commemorating the peace that has existed between Canada and the United States over the past 200 years.